Spicy food lovers and those looking to try a bit of something different in Seoul should check out the place I'm introducing today. Chadol Bakhim Jjukkumi is a mouthful of a name to pronounce but highlights the joints most representative menu item: a stir fry of thin beef briskets, spicy baby octopus and some other veggies. They do a few other mostly seafood based stir fries but what attracts customers here (with lines sometimes out the door on weeknights) is a chance for Koreans to get a hit of delicious capsaicin to release the endorphins and get the conversations going. The most popular option on the menu is the #2, chajjoo flame grilled special (차쭈 스페셜 직화구이) which is 13,000 won per person. But other common picks include their baby octopus stir fry (쭈꾸미 철판 볶음 23,000 won for 2 people and 32,000 won for 3), baby octopus and fish cake stew (쭈어묵탕 24,000 won) and more. Their flat mandu (3,500 for six dumplings and 5,500 for ten) seems to also be a hit with patrons though I have yet to try it. You can add ingredients to your stir fry such as flying fish roe, rice cakes, udon noodles or cheese (2,000 won each) or even extra beef brisket or baby octopus (10,000 won each). Rice is separate and 1,000 won. But most patrons usually skip the rice and choose to do the fried rice (2,000 won per serving) at the end with an order of cheese for good measure. All basic Korean alcohol drinks are offered from soju to beer to makgeolli and more, as well as non alcoholic drinks like sprite, cola, and coolpis but drink prices here are on the pricier side. Soju goes for 4,500 won, beer 5,000 and soft drinks are 2,000 won. It's a rather cramped and busy joint and tends to have loud noise levels akin to a popular barbecue joint. I usually get the chajjoo flame grilled special and ask for a serving of flying fish roe too. You have a choice between spicy, spicier, and spiciest for the baby octopus with spicy being the standard. I'm Korean and I love spicy foods and I can tell you the standard spicy level is more than spicy enough (but more on that later). Chadol bakhin jjukkumi is a no-frills joint and whatever you order, the standards sides will be the same: plain boiled soybean sprouts, perilla leaves (for wrapping), and kimchi. Each table comes with a burner or a stove top built into it and the delivery of the food to your table matches the frantic speed of the overall place. Even better for those who come here hungry: the beef briskets and baby octopus comes already cooked from the kitchen and you can dig in as soon as the dish is on your table. The beef brisket lays on a bed of onions with the beef coming flame grilled and with a smoky flavor. The beef brisket is standard on its own but is meant to be eaten with the spicy baby octopus which does not disappoint in the spicy department. I was a bit disappointed initially because the baby octopus looks so few but trust me, you only need to cut and eat one leg with a few of the beef briskets to get your tongue and mouth burning. Halfway through the meal I always literally fel the endorphins kicking in from the spicy octopus as my head begins to rush. To do it like the Koreans, order some Coolpis to drink. It's a milky, sweet peach flavored drink that's popular in restaurants with spicy foods. I'm not a big fan but it does seem to offset the spiciness at times. You can eat the ingredients separately but a popular option, as always for Koreans, is to make and eat wraps. Simply take a perilla leaf or two, add some beef brisket, soybean sprouts, baby octopus, onions and whatever additional topping you ordered, and wrap it all up and eat it in one bite. Smoky beef, spicy octopus, crunchy soybean sprouts, and mini fish eggs that pop will all provide some wonderful sensations which is complemented by the minty notes of the perilla leaves. Make sure to adjust and lower your heat as you dine but the serving ladies will swoop in to your aid in case you get too focused on the eating. In spite of being such a fast-paced environment, I appreciated the busy serving ladies always being friendly and attentive. The boss of this joint is a lady who is always on the move and cracking jokes with patrons. I've been here twice in the last year and she still recognizes me and always winks and gives some freebies like the flying fish roe or cheese for your fried rice. But as for ordering fried rice, you should make your order when you're just almost finished with your meal but with a few bits of the stir fry on the pan. The pan itself should be nicely oiled from the beef to which rice, some diced veggies, roasted seaweed and all of the remaining sides will be chopped, added and mixed to the hot pan. After everything is incorporated, the serving lady will flatten the rice mixture out on the pan as it finishes cooking. You can dig in right away but to get that nice crunchy char on the bottom, which I and my fellow Koreans love so much, you want to let it remain undisturbed for an extra minute or two before shutting off the heat. This is about the time that the pizza cheese will be added on top if you ordered it. Now, I am a great lover and admirer of cheese but boss lady really shows her overflowing love through her heavy hand of cheese. There's actually a spoon inside the tub of cheese she brings out but she always uses a bowl to scoop out the cheese before giving a smile of satisfaction and going about her duties. Not that it isn't delicious. In fact, the first half of the fried rice, which is more like fried cheese with some rice and other bits embedded in it, is sinfully delicious. You can't really ignore the fact the pan started off with a pool of grease and now you have everything topped in gooey melty cheese and, like almost everything that is bad for you, it's all fatty, charry, spicy love and joy in your mouth. But by the second half of the fried rice cheese, you can start feeling a tinge of queasiness. Koreans have a word called "neuhkkee" which is used to describe food (and even people) that makes you feel greasy and heavy in the stomach and this can be a perfect illustration of that. The cheesy fried rice is a euphoric sense of guilty pleasure but also a perfect illustration of the law of diminishing return. But darned if it isn't so tasty. On my first visit, as soon as we paid and left, I headed straight to the nearest convenience store where I guzzled some sprite to let the sweet and fizzy carbonated liquid do battle with the giant ball of cheesy rice sitting in my stomach- and this is coming from someone who never orders soft drinks. But all in all, Chadol bakhin jjukkumi is a decent casual joint for some "modern" Korean food and a good way to try out something beyond the standard Korean dishes. It's not an upscale joint nor is the food something that would be listed in a gourmet magazine but if you want the comfort food and casual environment of, say, something like a neighborhood barbecue joint then come here to get your spicy and humble comfort food kick. I've become somewhat infatuated with the spicy octopus here as I frequently find myself craving the buzz I get in my head from the spicy kick. Just make sure you don't ask for your dishes spicier beyond the norm or let the boss (bless her heart) cheese you out. It's nothing extraordinary but the food has all the elements of comfort food for Koreans- protein, spicy, fried rice, and copious amount of (optional) cheese. Like its owner, the environment is boisterous and lively and a nice alternative for friends to chat and eat at in contrast to the horde of barbecue joints in the area. But I should say the owner told us recently they're moving down the street to expand soon so I'll update this post when I find out the new address. Alcohol: Beer, soju, makgeolli, chungha, and more are all available but on the pricey side. Tip: Chadol bakhin jjukkumi has a lunch menu where you can get the stir fry, rice bowl or noodle dishes for cheaper (between 7,000 won-10,000 or so). Portions will be smaller but it's an option to try out the food in a cheaper way if you're in the area. 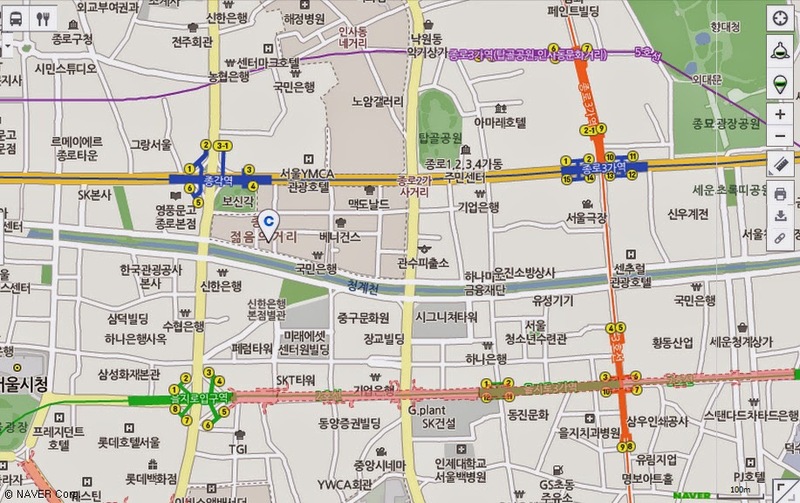 Two other branches exist and can be found in Sinchon and in the city of Suwon. Lastly, if you're a fan of "서비스" (freebies) try striking up a conversation with the boss lady. If she's in a good mood she may give you a soft drink for free or (literally) shower you with love in the form of cheese.